Support can be more personal than money, volunteers are always needed. You don't have to be able to sing or act. Skills a varied as carpentry, computing and sewing can all be used. 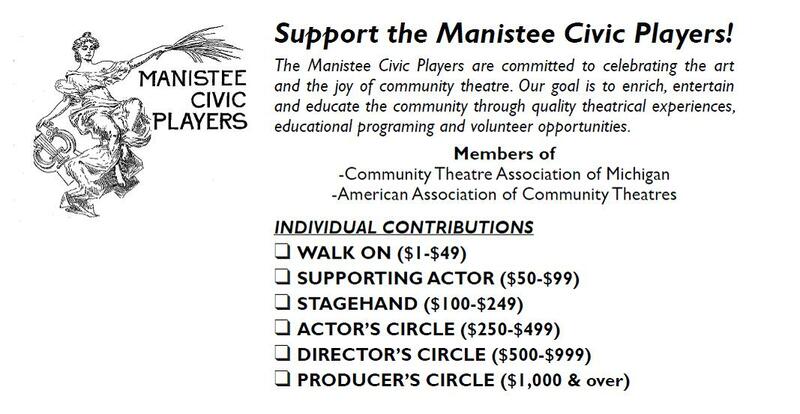 To contribute or volunteer, please contact the Manistee Civic Players business office at 231-723-7188, theatre@manisteecivicplayers.org, or click below.